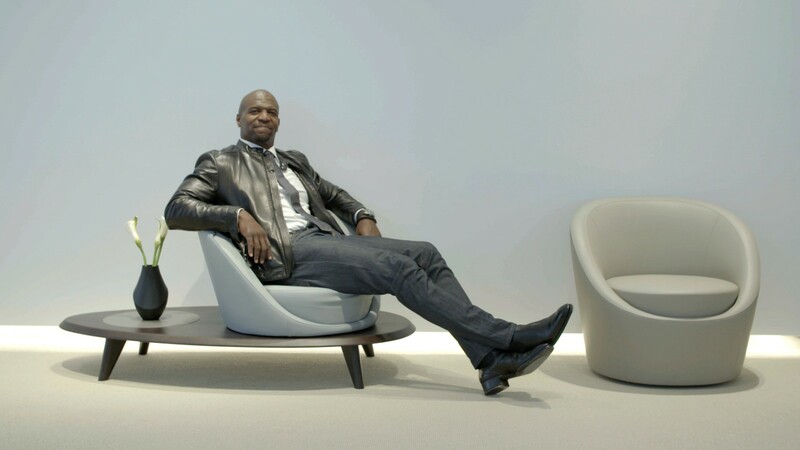 Award winning actor, Terry Crews recently launched “The Terry Crews Collection” a sleek furniture collection he designed in collaboration with American furniture brand, Bernhardt Design, at the International Contemporary Furniture Fair (ICFF) which held in New York, this past May. Mr.Crews, who has a background in graphic design, was inspired by the idea of modernizing ancient Egyptian culture in a more contemporary context. In developing sketches, he looked at Egyptian hieroglyphics, as well as organic forms like lily pads and the smooth stones of the Nile River. 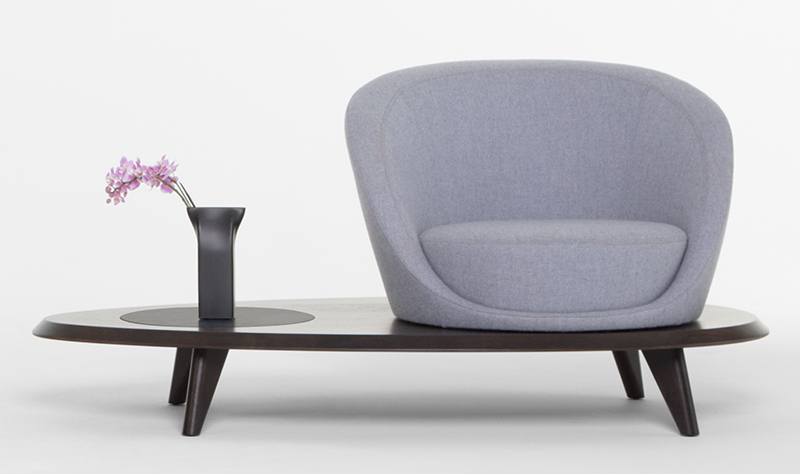 These influences become evident in the subtle, yet elegant curves and clean lines of the pieces. This lean towards nature and ancient Egypt comes alive with the styling, form and even the names of the final pieces, as well as the narratives that drove their development. Here’s a look at the four pieces that make up the collection. 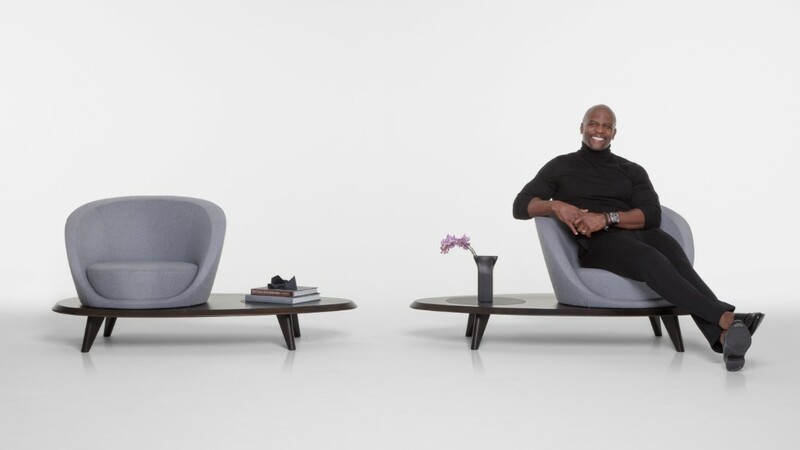 The Lilypad Lounge Chair has a comfortable, upholstered swivel seat that sits on top of a Solid American Walnut platform with a small circular insert. 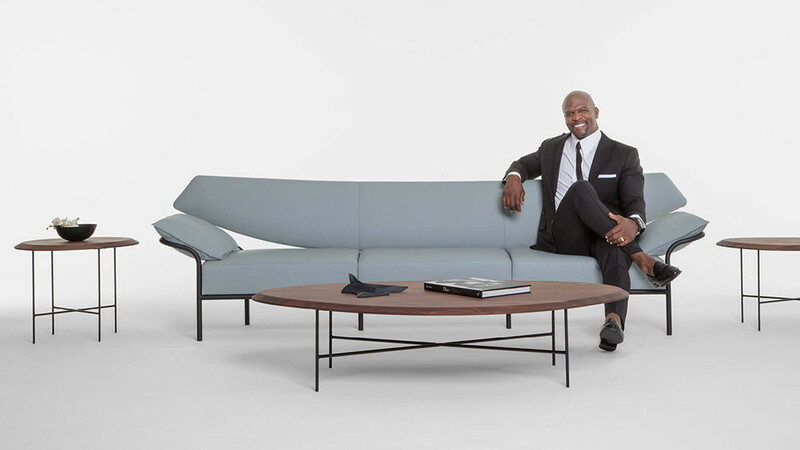 Sleek and contemporary, the Ibis sofa what Crews imagines would sit in a modern Egyptian palace. 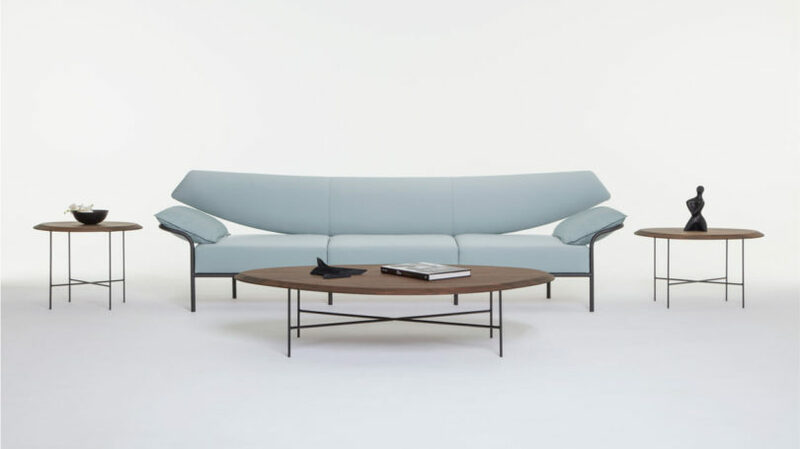 The sofa features a long, shapely back (reminiscent of outstretched wings of the Eyptian Ibis) and is upholstered in a soothing ashy blue leather. 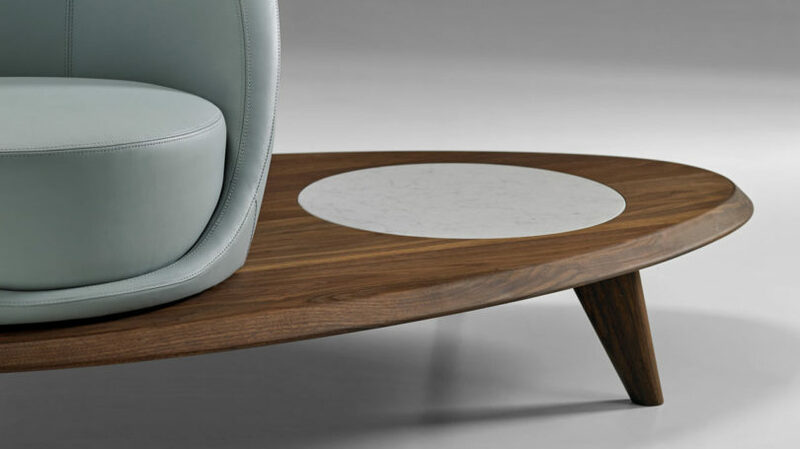 These minimalist tables feature smooth rounded edges resembling pebbles one would find along the shore of the river Nile. 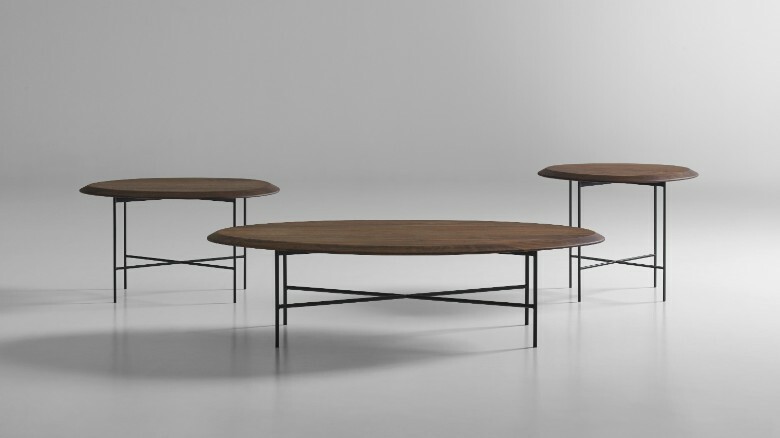 The tables (which have coffee and end table variations) are finished with a wood top over elegant slim steel legs. 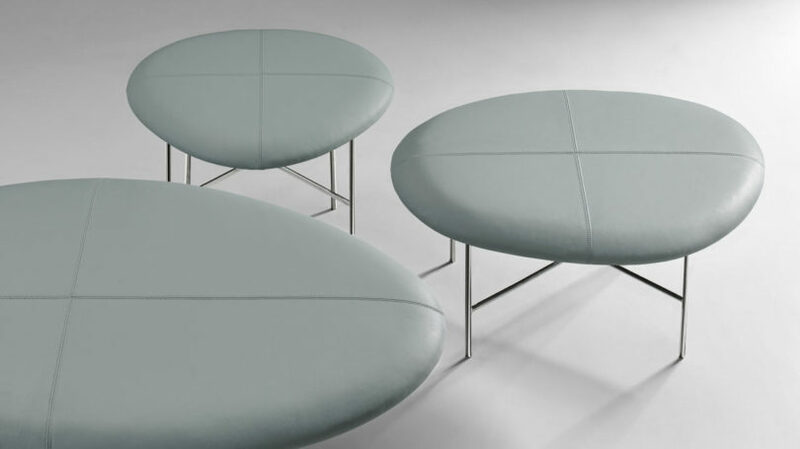 The Aire benches also reference the rocks and pebbles of the Nile but has a softer, leather finish atop slim steel legs.